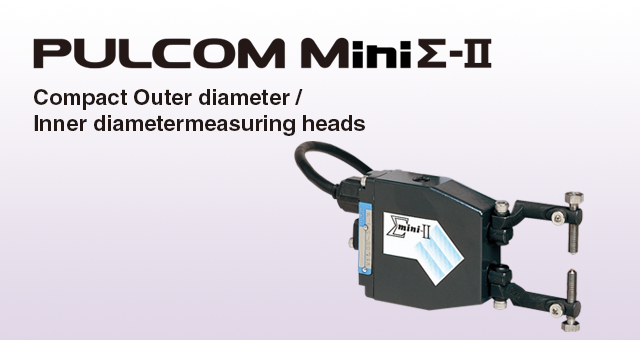 PULCOM Mini Σ-Ⅱ Compact Outer diameter / Inner diameter measuring heads | TOSEI ENGINEERING CORP. 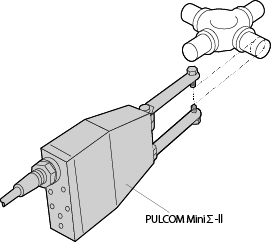 The width, depth and height of the PULCOM Mini Σ -II are only two thirds that of the standard PULCOM Σ, resulting in a volume that is a mere 30%. 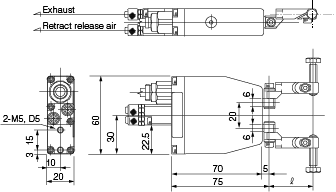 Furthermore, despite the size, this unit has a measuring range as wide as Φ 50 mm. 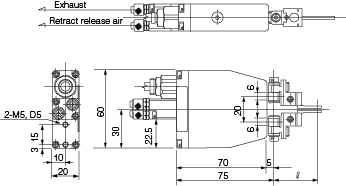 In addition to standard outer and inner diameters, other measurements such as run-out and width are also possible. Sharing the same contacts and fingers as the MOD, Γ II and Γ III, it enables a wide measuring range. 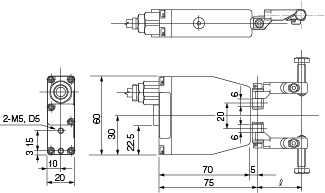 As an example, by using special contacts for small diameters, measurements from Φ 1 mm to Φ 10 mm are possible. 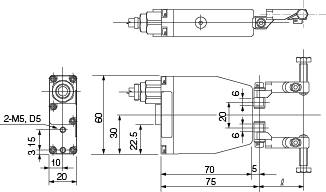 The PULCOM Mini Σ -II offers the same outstanding high precision, stability, rigidity and reliability as the PULCOM Σ, so far known as the standard for diameter measurements. Cylindricity can also be measured by using two measuring heads.